Last night at Blink-182’s concert in Cleveland, Mark Hoppus announced that he spotted local hero Machine Gun Kelly in attendance. 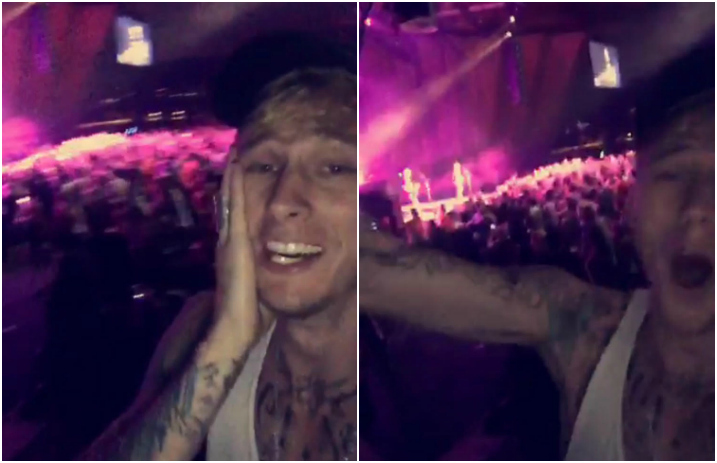 MGK couldn’t help but play along with the shock—and neither could the rest of Twitter! If this proves anything, it’s that Machine Gun Kelly loves Blink-182 just as much as the rest of us. Last night I moshed with @machinegunkelly in the pit at @blink182 I was living. Did you spot MGK at the show? Let us know in the comments below!